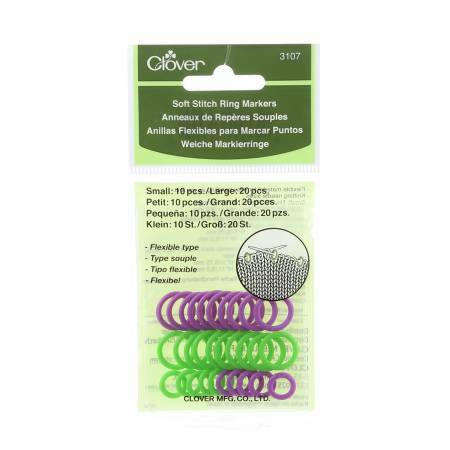 Clover Soft Ring Stitch Markers are great for marking the beginning and ending of pattern stitches, as well as where to increase or decrease the number of stitches. Includes 10 small markers for use with needles in sizes 0 to 5, and 20 large markers for use with needles in sizes 5 to 11. Both sizes come in green and purple. The flexible material comfortably adjusts to your hand as you knit.